Hello, Gorgeous! : The Nordstrom Sale: Staple Pieces. Every once in a while it dawns on me that not living in a bigger city does have tiny little disadvantages. Disadvantages like not having a Nordstrom nearby so that I can shop the huge sale that's happening now. My friends who live on the east side of the state always talk about shopping at Nordstrom and how great it is, not realizing that I don't have one nearby. (Yes, Jen, I'm calling you out! Love you!) But, then again, there's always online shopping! And true to form, I've already got my eye on a few staple pieces that are on sale right now. 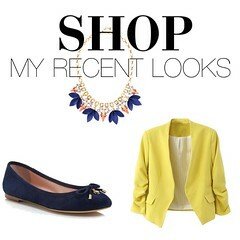 Mostly, I'm looking for classic pieces that will transition easily from work to play and from season to season. Living in Michigan, buying great pieces that you can only wear in the summer isn't always the best choice. (It already dipped down to 21 degF this past Sunday!!) So, I'm eyeing a lot of sheath dresses and boots. Here are some of the of things that are in the running-- just click on the images to get linked through to each piece! Are you going to be shopping the sale? If yes, what ya' gettin'?! Check out the whole Nordstrom Sale here! Yasi, I love your style �� thank you for posting more often! Don't get those calf hair shoes wet. Please look up how to care for them. Gorgeous choices!